For The KMJ Winter Season both Kris and I were agreed that the timing would provide a perfect point at which to bring indoors the hardy collection of marble standing stones. And so it was that each one in turn: Pilgrim, Inner Strength, Wolf Man Jack, and Cat Walk herself, were gently lifted from their various perches, in and around the Birdhaven Studio Sculpture Garden, carefully transported the eight miles down the road to the AABC, and finally eased onto their assigned KMJ plinth. Absent from the Woody Creek Standing Stone Circle however is May Pole. 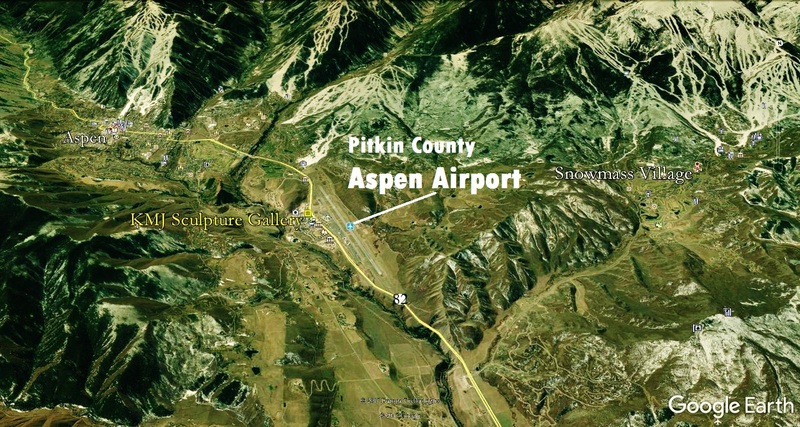 It makes me ever-so happy to announce the delightful news that he now resides high in the hills above Aspen. Along with Reversed Equation and Oblique Perspective, this inner circle of Yule Marble Sculpture has withstood everything the Colorado Rocky Mountains could hurl their way: sizzling hot summer sun, blisteringly cold winter nights, and everything in between. The addition of such a strong vertical presence has served to transform the gallery from the predominantly bowl-centric nature of The KMJ during the inaugural summer show. The bowls are still there however, but they have had to make room for their far larger compatriots. Fortunately each Curvilinear Marble Sculpture is quite easily picked up and moved. And by circulating the entire collection through the gallery, any carving may be thoroughly inspected and viewed. Should you have a particular piece of sculpture in mind however, please make sure to let Kris or I know of your preference. 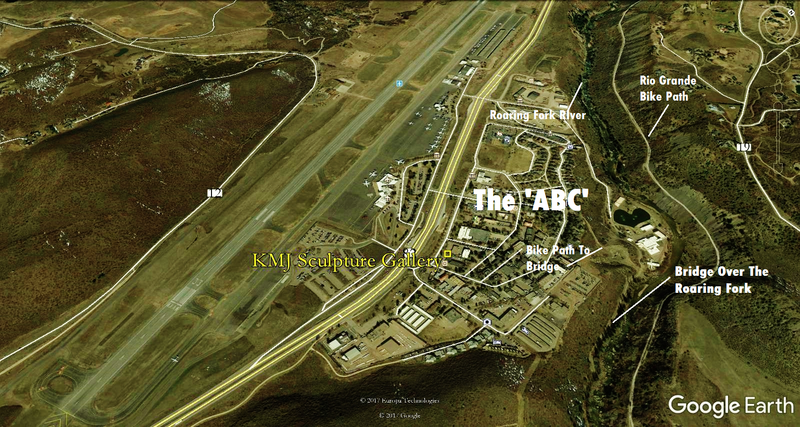 We will be very happy to assure that the said sculpture will be on display at the time of your visit. And just to dispel any lingering doubts as to the sheer toughness of my signature Collection Series Marble Sculpture, remember this: there is high maintenance sculpture, low maintenance sculpture, and, as is the case with my visionary indoor/outdoor marble sculpture – no maintenance – just a quick wipe with a sponge every now and then, if you call that maintenance. But when all is said and done, these babies have already chalked up a cool 30 million years, and from what I have witnessed from their sheer indifference to Rocky Mountain weather, I stand fully behind my catchy little tag line: Colorado Yule Marble Sculpture, light, portable, and carved for full immersion in the real world. 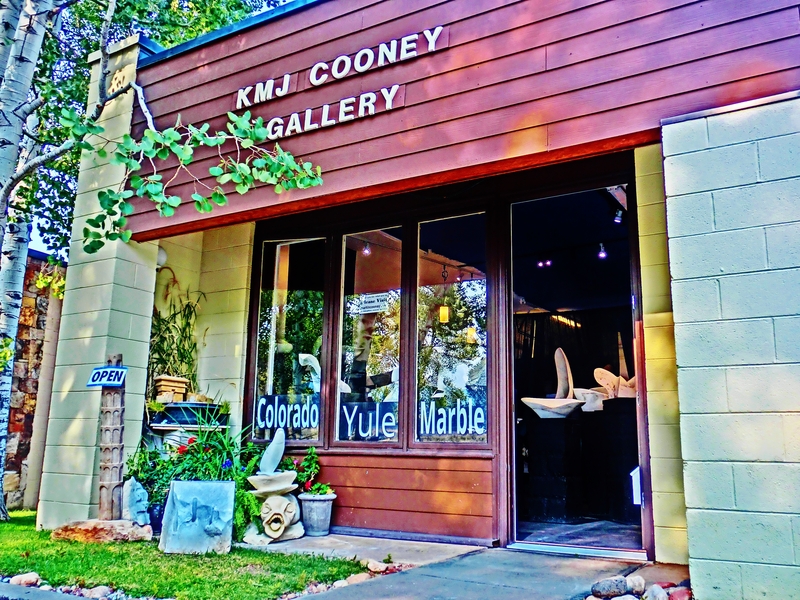 This entry was posted in All Postings, KMJ COONEY GALLERY, Posts about my Sculpture and tagged Art, Artist, Aspen, Colorado, Colorado Yule Marble, contemporary, curvilinear, direct method, fine art, independent tourist, Marble Sculpture, reductionist, Roaring Fork Valley, sculptor, Stone Carving, Stone Sculpture, Woody Creek, Yule marble. Bookmark the permalink.